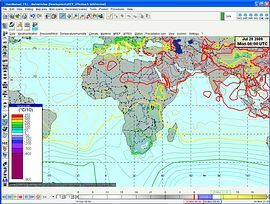 The Surface Layer displays observed and point-forecast data. Formats such as SYNOP, METAR, MREP and SPECI are supported. 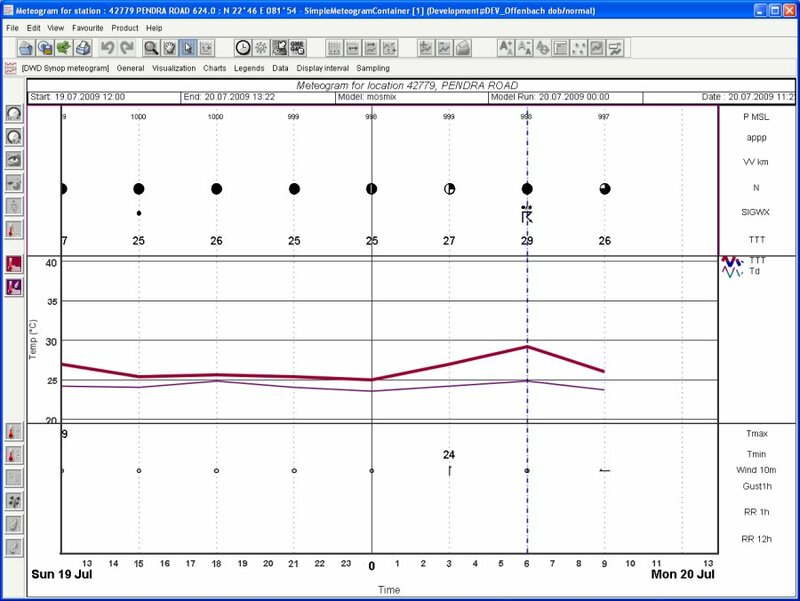 A versatile configuration of the display modes (symbols, plot models, values, isolines, isoareas) is possible. 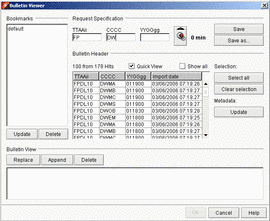 A very large amount of preconfigured data display modes is available, new ones can easily be created. 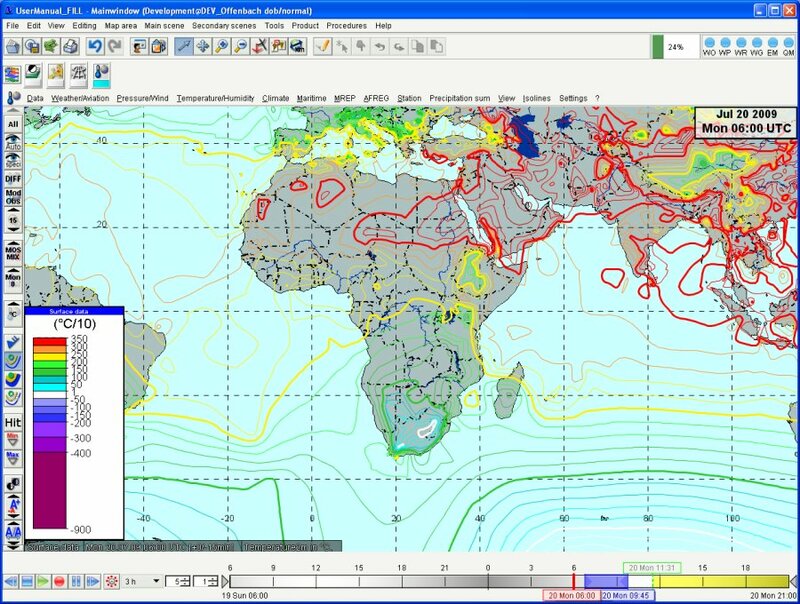 Preconfigured plotting modes for observational data are, for example, the WMO station plot, the plot for significant weather, and specified elements (e. g. temperature in 2 m height, total cloud cover or wind direction). In principle, all combinations of all available elements are possible. 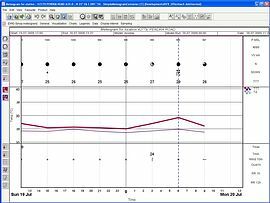 The reports can also be displayed or listed in the original text format. 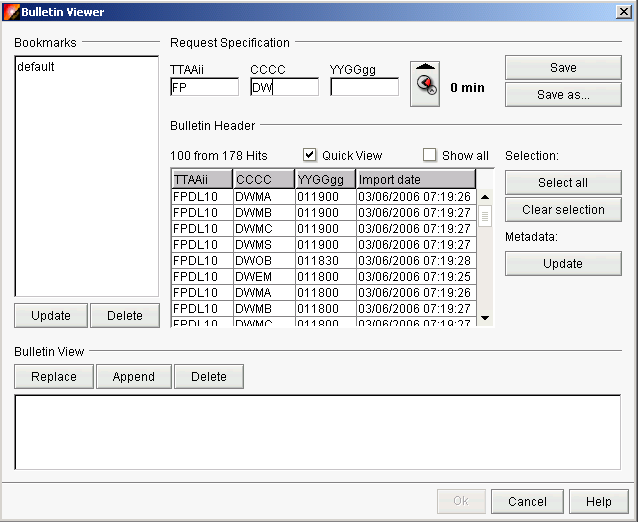 Furthermore, the Bulletin Viewer visualises bulletins in the NinJo Client and allows the seraching and filtering of bulletins according to their header information as well as selecting, viewing and copying of the bulletin content. 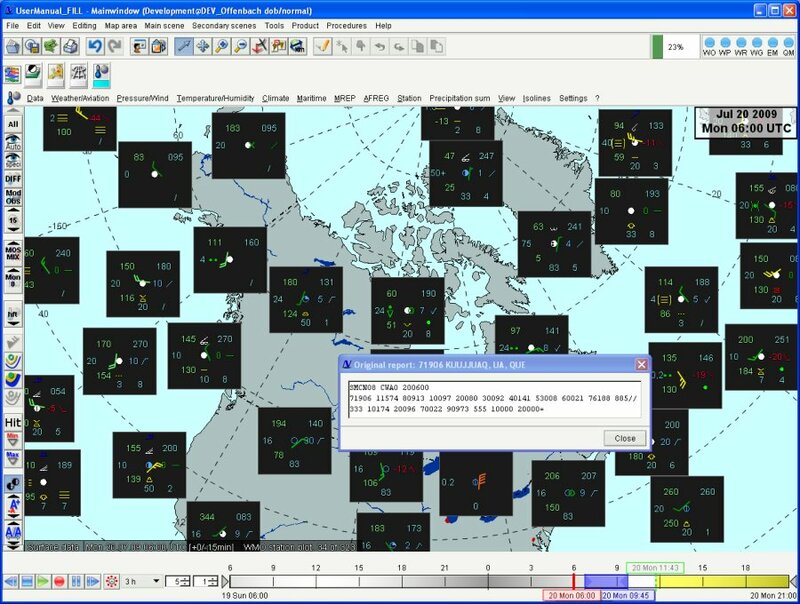 The Surface Layer also serves to create observation-based meteograms for any available station. EMS Technology Award 2018 for NinJo. NinJo 3.2 has been released in November 2018, three months after release of NinJo 3.1. In August 2018, the 11th NinJo User Group (NUG) took place. The meeting was held in Offenbach, Germany. In May 2017, the European Working Group on Operational Workstations (EGOWS) held its meeting in Bratislava. The NinJo contribution had the topic "NinJo Archive Access".